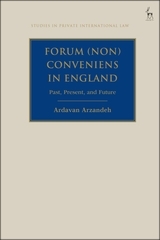 The forum (non) conveniens doctrine provides the basis for the discretionary exercise of jurisdiction by English courts in private international law disputes. London's pre-eminence as a centre for international commercial litigation has led to its frequent deployment in proceedings where parties disagree over where a case should be heard. The doctrine's significance is not limited to England but extends to many Commonwealth jurisdictions which have embraced it. 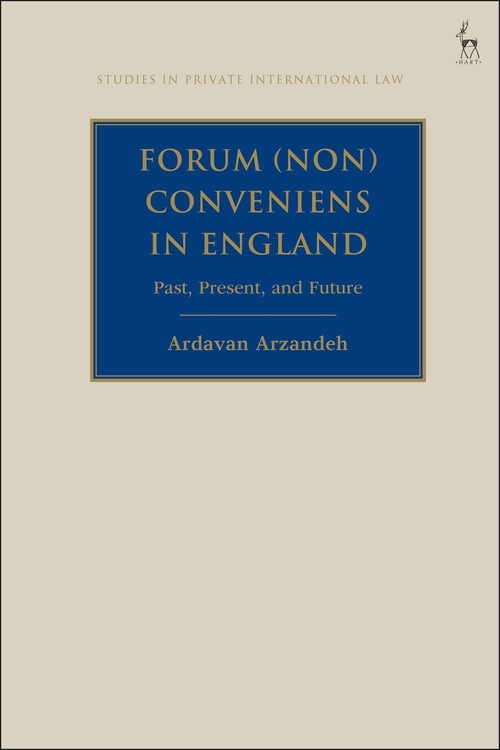 This is the first book-length study devoted entirely to examining the forum (non) conveniens doctrine's past, present, and future from the perspective of the law in England. By offering a meticulous and critical analysis of relevant historical and contemporary sources in England and elsewhere, it seeks to fill gaps in relevant knowledge of the English forum (non) conveniens doctrine, and challenge certain views concerning its operation that have come to be regarded as representing the orthodoxy. In this respect, the book attempts to refine our understanding of the doctrine's historical development, evaluate its application in the years following its formal recognition in England, and examine the case for revising it, given the changing nature of international commercial litigation in recent decades. The book's ultimate objective is to act as an authoritative and comprehensive reference point for those with an interest in the forum (non) conveniens doctrine, more specifically, and cross-border private litigation, more generally. Ardavan Arzandeh is Senior Lecturer in Law at the University of Bristol.